Ushuaia, Argentina. 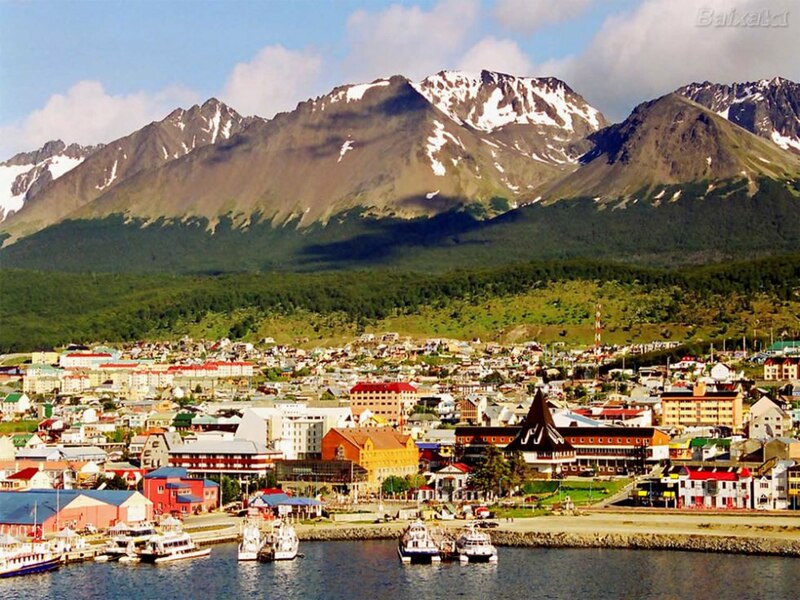 Often regarded as the world’s southernmost city, Ushuaia port is a point from where the Antarctic expeditions take off. This is also where the Andes meets the sea: the iconic mountain range creates an impressive cityscape. Those who are not signing up for a trip to the South Pole just yet, will nevertheless find numerous outdoor activities. Skiing and hiking in the mountains, as well as sailing, kayaking and scuba diving in the sea will suit everyone’s taste. Also here penguins and sea lions can be spotted. To sum up, Ushuaia is a great tourist destination, attracting visitors from all around the world. A nice port town, with great panoramic views, mountains and the sea. Its ski areas make it a desirable winter holiday destination. The town has the longest skiing season in the continent. The warmest is January – a summer month in this part of the world. The easiest way to get there is by plane from Buenos Aires, Río Gallegos, El Calafate or Chile. You can also go the by bus or boat.